2019 Season will open tentatively on Friday, May 24th. We do not update this website for daily changes. The zero depth entry play area is a 3,986 sq. foot area that is loaded with wonderful play features for kids of all ages. 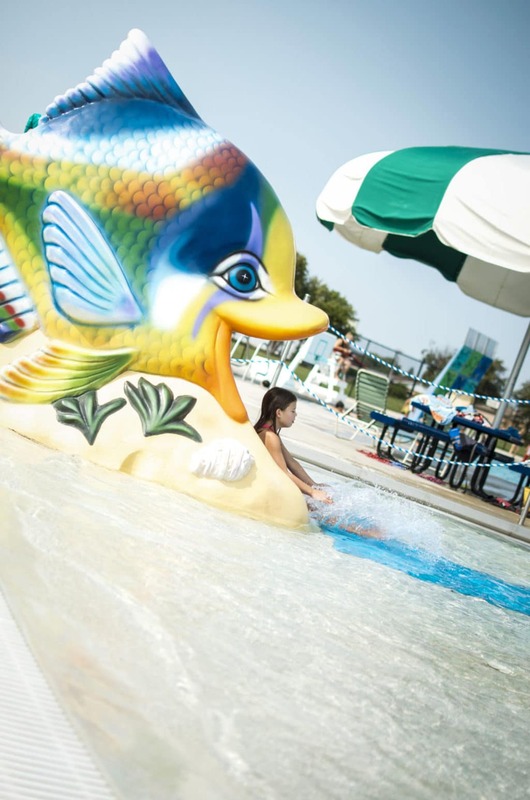 A Tropical Fish Kiddie Slide, a Multi Play System V, a dozen floor geysers, an interactive water table, and a set of water dump buckets greet you as you enter the Aquatic Center. The depth of the water in this area ranges from 0” in the entry area to 3’ at its deepest end. This area acts as the drop site for two 31’5” high slides. The first slide is a 42” Open Body Flume Slide that is 214’9” long with the second slide being a 32” Enclosed Body Flume Slide that is 143’4” long. Participants must be at least 48” tall to go down the slides by themselves or they must be accompanied by an adult. This area is 860 sq. feet and has a depth of 3’6”. The Lily Pad Walk is housed in a 355 sq. ft. area with the water depth ranging from 3’6”-4’0”. 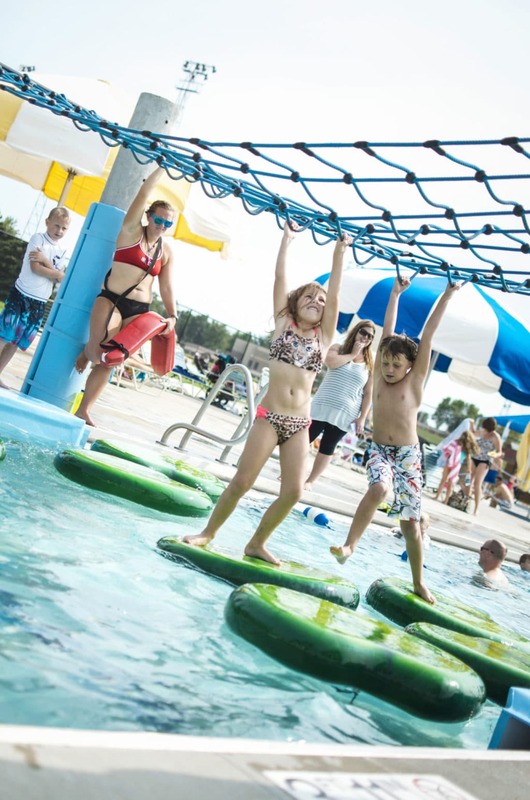 The foam floatables which are anchored to the base of the pool serve as a movable challenge for the participants. Participants must be tall enough to reach the top cargo net so they can make it to the opposite side. A three meter and one meter diving board as well as a 12’ Aquaclimb Climbing Wall challenge you as you enter the diving area. This area is a 1,560 sq. foot area that ranges in depth from 5’ to 12’. 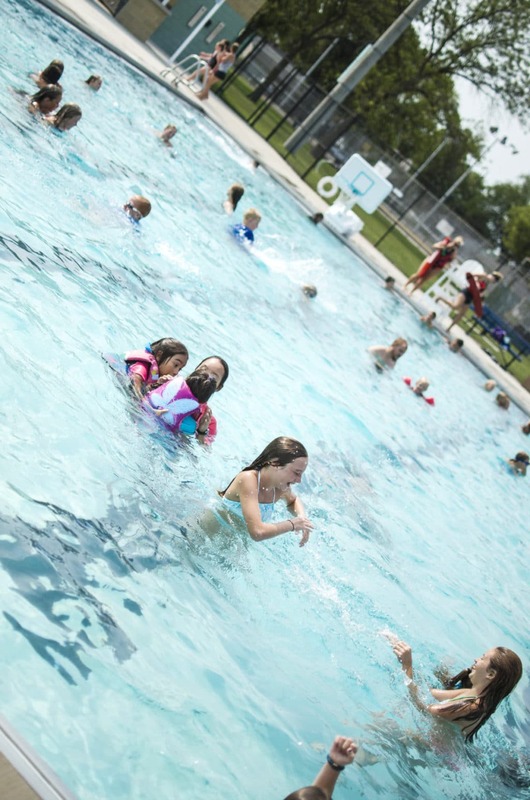 This area of the pool is open to adults and children who have passed level 2 swimming lessons. The 25 yard swimming area is a 3,292 sq. foot area with water depth ranging from 3’6” to 5’. 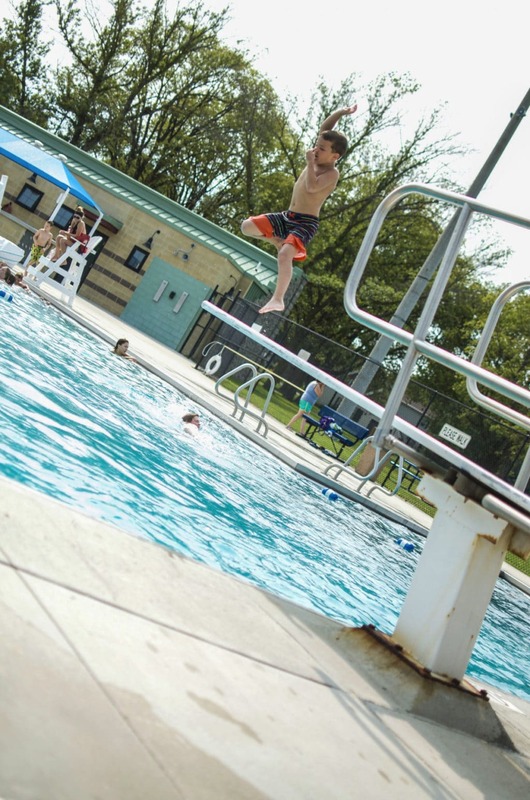 This area of the pool is open to adults and children who have passed level 2 swimming lessons. Non-swimming children or children who do not meet this requirement must be in direct contact (within arms reach) with an adult or person/supervisor 15 years of age or older. This person/supervisor must be in the water with the child. 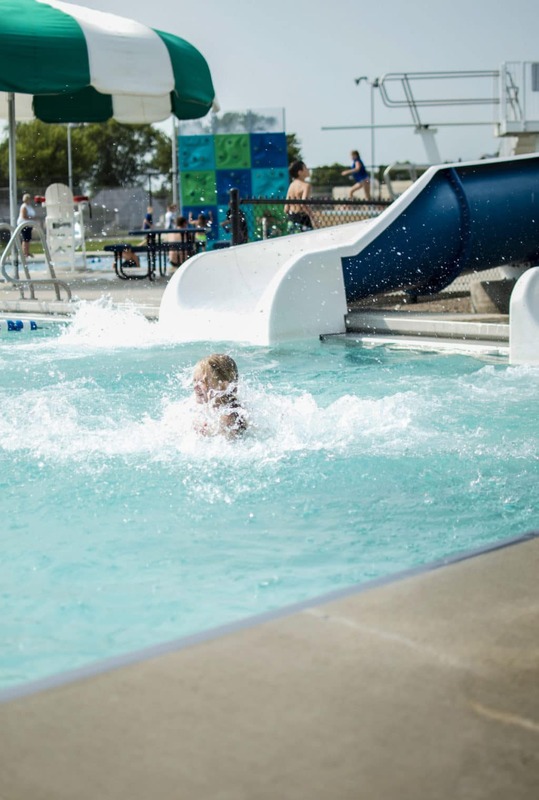 The Redwood Falls Aquatic Center has tent rentals available for birthday parties, family reunions and more. 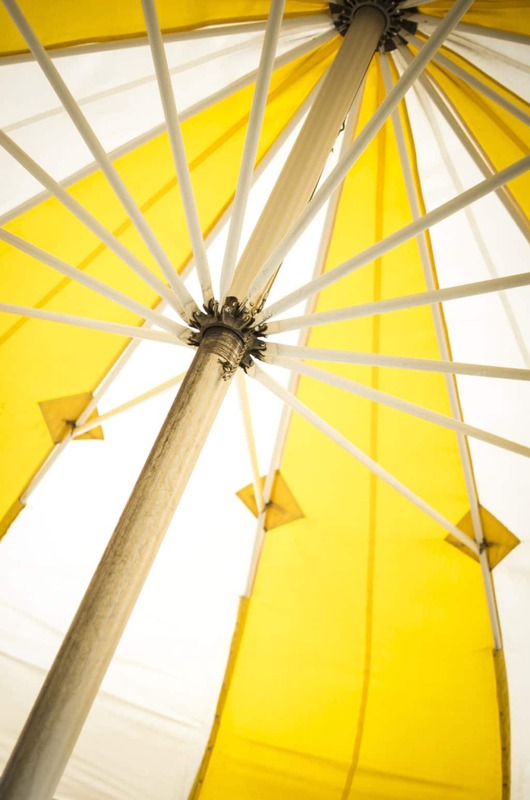 With a tent rental reservation you are allowed to bring in your own food and beverage. You can also purchase ice cream treats, slushies and more at The Grand Stand concessions at the pool. Learn More!